My story may be heartbreaking but I am definitely living up to my new name, Trooper!! My last family dumped me at a kill shelter with massive leg injuries that happened months before. I have several breaks and my bone is shattered in my right front leg, HOWEVER, I am a survivor and have the strength to walk and use this leg now the best I can! Trooper loves his people who are helping him! He loves his foster home and is very good at the vet office. He doesn't complain and has got to be the most grateful rescue we have ever seen! 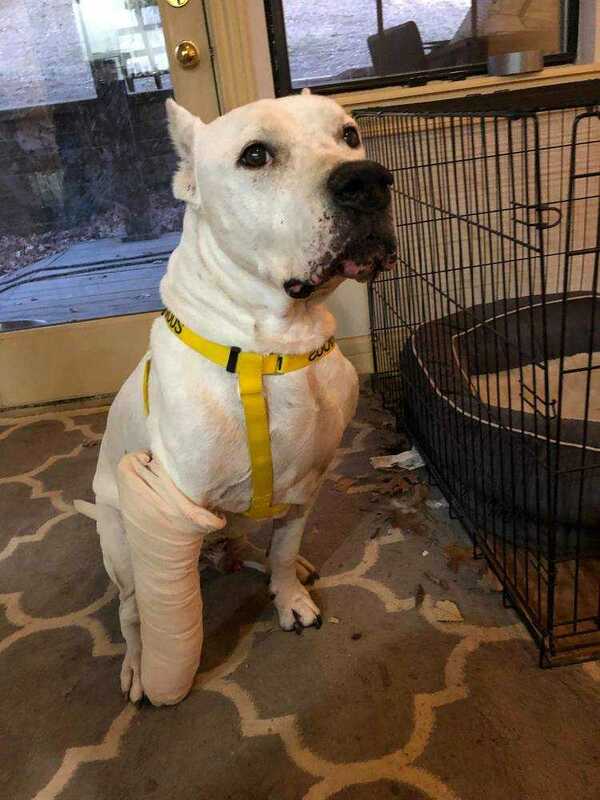 The rescue is still tending to his leg injuries and knows that he will be best fit for a chill home without a lot of stairs. We are unsure how he is with other dogs but prefer a home where he is the only dog child considering his long term leg issues that he may have.